Happy Kitchen Sink Stamps Monday! 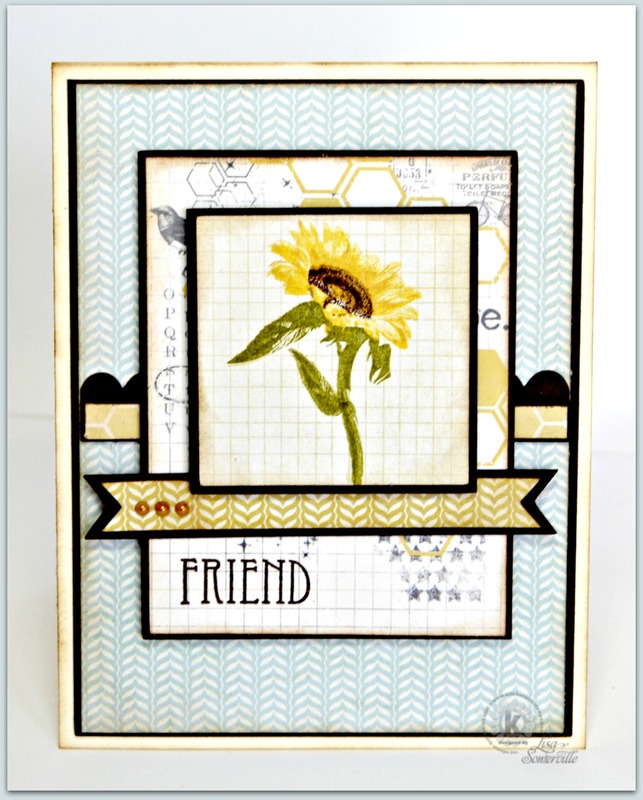 Inspired by this weeks Mojo Monday Sketch Challenge, I used My Minds Eye pattern paper along with Kitchen Sink Stamps Multi Step Sunflowers and Vintage Words stamp sets to create my card. I used Michelle's Cut Files, found here along with my Silhouette Cameo, which made creating the card a breeze! I did add a few cut layers using the shapes provided by Michelle, as I wanted to add a few additional layers. Lisa, Thank you for sharing my link for the Mojo Monday cutting files. Appreciate it. :) Your card looks great, I like the paper selection you've used. Such a beautiful card. Love how crisp the dark matting makes each layer.